The boys and I were lucky enough to get to partake in a college class even though we are not in college! On Friday we had a professor at a local college offer to teach her class on natural disasters to a bunch of us homeschoolers; moms and kids alike. 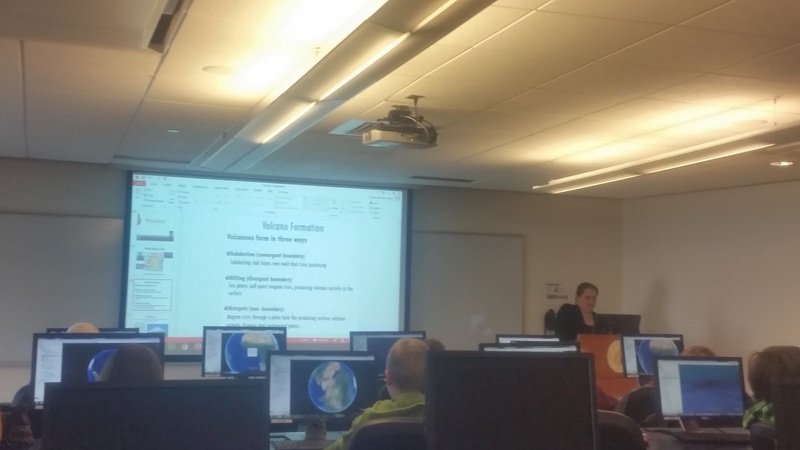 The college was on spring break and she kindly used her personal time to share her area of expertise with us. 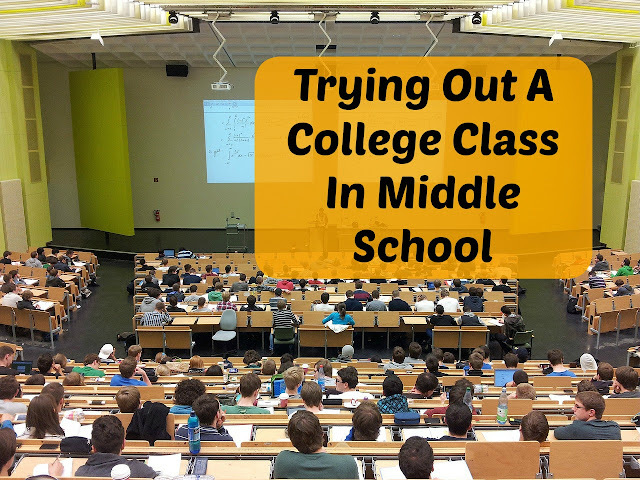 I loved that my middle school student was going to get a small taste of what it was like to be on a college campus. 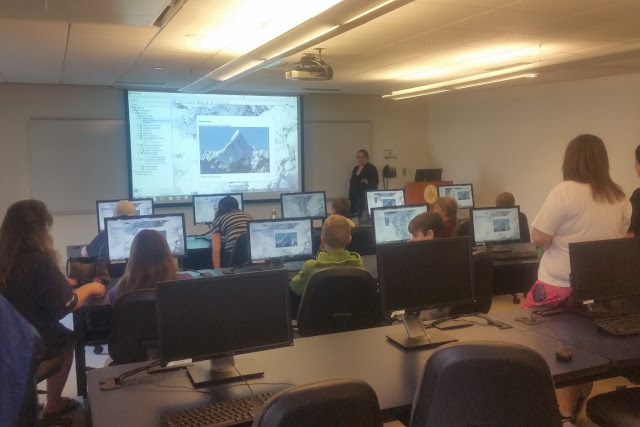 Class was hosted in a computer lab and there were college students on hand to help the kids navigate their way through the Google Earth program that we were using in conjunction with her lecture. 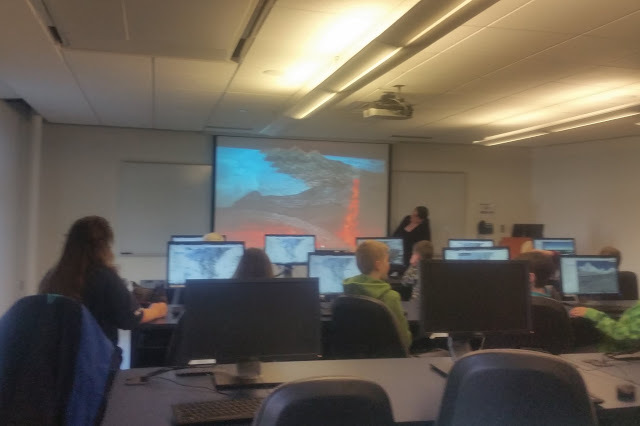 We learned so much about natural disasters, plate tectonics and many features of Google Earth. We learned about jobs that deal with natural disasters; everything from predicting them, to helping clean up after them, to putting measures in place to help minimize the damage. We met several new homeschooling families and kids too. The professor offered to e-mail all us moms all of her notes, lecture maps, slideshow presentations and basically everything she was using. 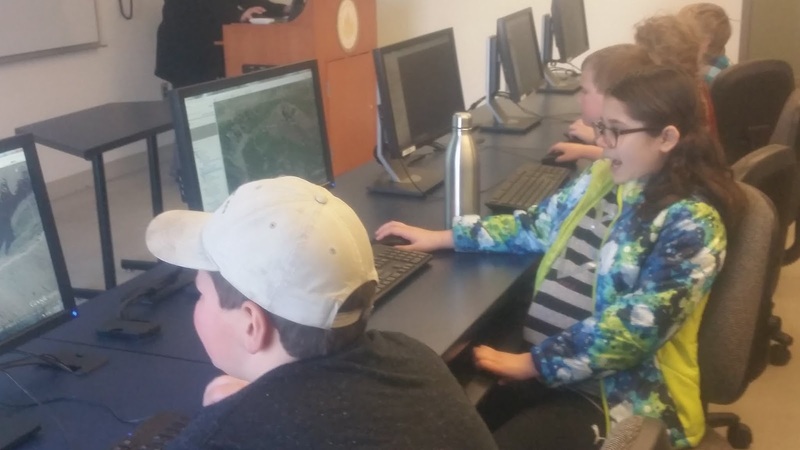 She also taught the kids how to put together their own Google Earth slideshows and encouraged them to share them with her. She was lively, funny, and told so many personal stories that really resonated with my kids. In short; she was awesome! She was super impressed with Evan when he announced that Madagascar was an examples of plates that were once connected and then were separated. I was proud of all three of my boys for paying close attention, asking great questions, and sharing pertinent information. It sounds like we will be meeting for more classes at some point in the future! I found the ride home was the perfect opportunity to talk to Ian about college and all it has to offer. I wanted to feel him out and see if being on a campus had changed his mind at all about not wanting to go to college. This is a topic I have wrestled with a lot as he has gotten older (you can read about my angst here). I love that we have had opportunities to expose him to college type classes and campuses so he can try it out for an hour or two. Awesome experience. My son would have loved the course! I was so impressed! It was amazing.